From new construction and renovation to energy audits and winterization, NHSH has helped expand year-round housing opportunities and make their homes more efficient since 2006. Our latest, and largest project to date is the development of an eldercare facility for the community of North Haven. This project is a partnership with Southern Harbor Eldercare Services (SHES), who will own and operate the facility once it is built and operating. To learn more about the project, check out the Eldercare page. Named after its previous owner, the "Dyer House" is a year-round duplex rental that was renovated from 2011-2012 to house two families. 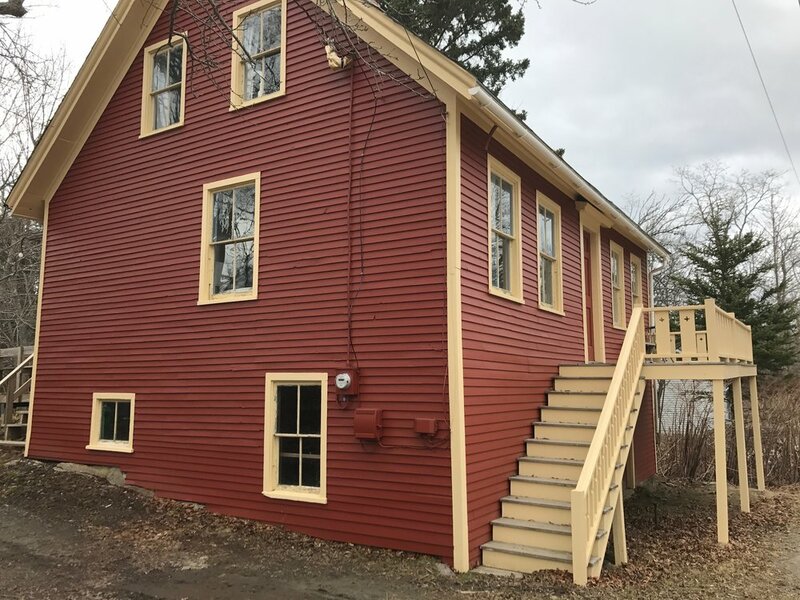 This three-story home was developed with significant support from a Maine State Housing Grant grant as well as the Genesis Community Loan Fund. A renovation project, 166 Main Street was renovated for the Macy family (pictured) in 2008. The Macy family owns the three bedroom home which was originally built in the early 20th century. In 2006, North Haven Sustainable Housing's first project, 565 South Shore Road, was built from the ground up on 2.5 acres of donated land. The home is owned by Bill Trevaskis and Courtney Naliboff who have lived at the home since 2007. North Haven Sustainable Housing assisted a seasonal land-owner in selling this property to qualified year-round residents for a reduced-market price. NHSH advertised the home, selected the qualified buyer and assisted the landowner in the sales process. The house now has an affordability covenant which seeks to ensure that the property will remain occupied by year-round residents who are qualified if re-sold in the future. This property is a 3-acre wooded lot that was sold to a year-round resident in partnership with North Haven Conservation Partners and a generous seasonal family. North Haven Sustainable Housing’s role was to advertise the property for sale, solicit applications from buyers, and select a qualified year-round buyer. The property also contains an affordability covenant to ensure it stays in the year-round community in the future. North Haven Sustainable Housing has undertaken nearly fifty energy audits and weatherization upgrades to existing homes all over the island. By hiring independent contractors, NHSH has been able to subsidize bringing older structures up to par by conducting blower door tests and using infrared cameras to analyze and seal leaky basements, attics, seams and doors. NHSH has also subsidized major insulation projects for qualified individuals and families. If you are interested in an energy audit or other weatherization work, please contact us. NHSH has held several storm window-building workshops since 2013 after a visit from the Island Institute during their Energy Conference. Since then, with volunteer assistance, NHSH has built over a hundred removable storm windows for older homes around the island during these open workshops. Contact NHSH if you are interested in building storm windows for your island home.